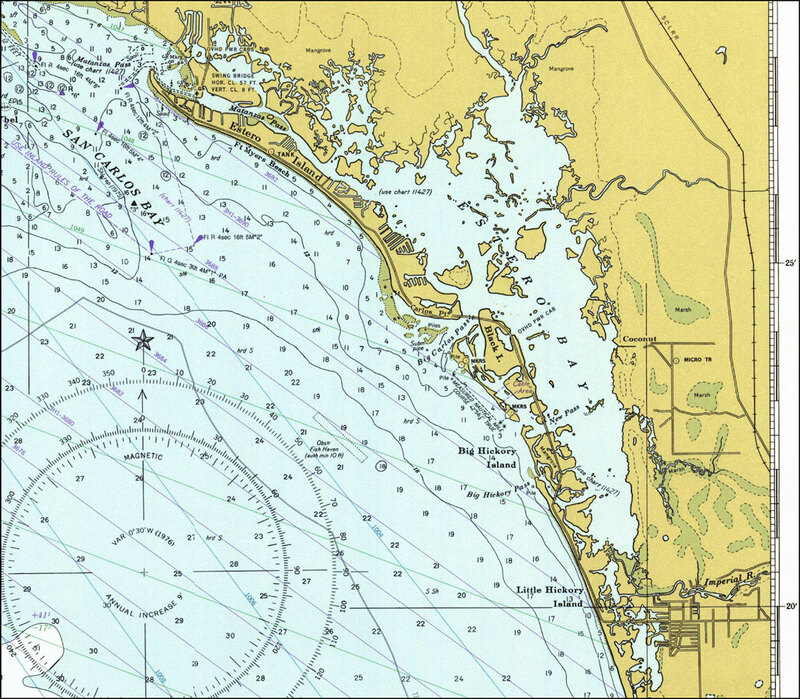 Description: A National Oceanic and Atmospheric Administration map of Estero Bay current to 1977. This Department of Commerce chart shows all soundings expressed in feet at mean lower low water. Navigational aids such as lights, beacons, buoys and measures of magnetic declination variances are shown as well as obstructions such as submerged piles, wreckages, fixed bridges and overhead cables. The map scale is 1:80,000. North American Datum of 1927 is used. Key to NOAA maps.